Remember everyone, while standard over the counter Rocket and rocket motors are safe with a great track record, DIY experimental motors can be very dangerous – Please be safe and follow all safety precautions. My thoughts go out to those injured at my alma mater. 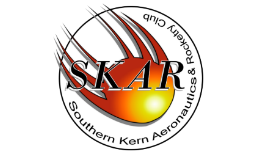 As a reminder, while individual members of SKAR may from time to time experiment with different aspects of rocketry, to include motors, the club itself is a chartered member of the National Association of Rocketry, which does not recommend, endorse or cover the building or launching of experimental rockets, nor any damage or injury resulting from said rockets. Hello everyone, we are good to go for our Launch this month, this Saturday, Mar 8th at 9am. We may have a TARC team launching with us this weekend from Irvine California, hoping to get their qualifying launches!